Warning! Everything you will see in this article is a spoiler relating to Dragalia Lost. If you wish to click off now, feel free to do so now as there won’t be any other warnings going forward. With just one more day to go before the release of Dragalia Lost in select territories, a non-working version of the app is available now to download and it has already been datamined. Much like the other mobile games published by Nintendo, a great deal of information has been divulged and has made its way to reddit, which we’ll be covering in just a moment, because firstly we want to thank @DragaliaLost_EN for pushing us in the right direct. 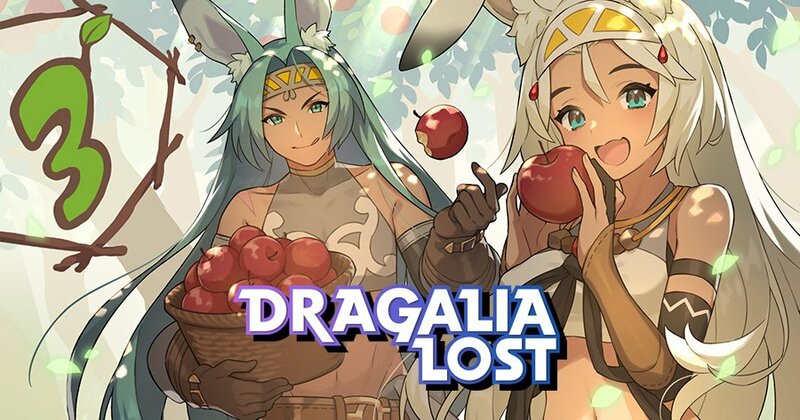 (@DragaliaLost_EN is an unofficial Twitter news account, focused on Dragalia Lost. Feel free to give him a follow if you wish.) Now, let’s talk about what’s been datamined, shall we? Loyalty’s Requiem is an event players can expect to play in Dragalia Lost. Defeating the Raid Boss can earn players a 5 Star Dragon. Dragalia Lost will support a Daily free item summon. Mana circle abilities include status immunity. “Empire Battles” will be present. Unlocking new stories will allow players to get a look at the daily lives of their allies. Increasing bonds with Dragons allow players to unlock Dragon Stories, obtain Special Items and Extend Shapeshift Time. Matching characters and Dragons can activate special abilities. Dragontress can be planted in the Castle Grounds to produce Dragonfruit. Wyrmprints can be upgraded and feature a change of appearance.